Only 1.6 percent of 11,668 agricultural cooperatives, equivalent to some 193 agricultural cooperatives have used high technology in production and trade, reported the Department of Cooperatives and Rural Development in a meeting on hi-tech agricultural development yesterday. The meeting was held by the Ministry of Agriculture and Rural Development and its Department of Cooperatives and Rural Development. The department reported that 193 hi-tech agricultural cooperatives have earned an average turnover of VND10.3 billion annually meanwhile their counterparts without hi-tech adoption produce only VND1 billion. 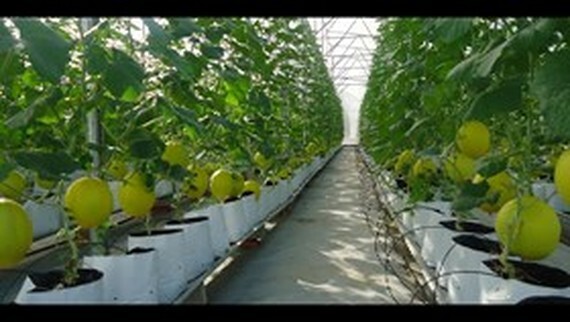 Most of hi-tech farms raise fish and shrimp, vegetables, safe orchards, flowers, mushroom, seedlings, milk cow, poultry pigs and processing and preserving agricultural produce. According to the Ministry of Agriculture and Rural Development, three issues including managerial capability; hi-tech adoption into production to improve quality, value and productivity; and production alliance between cooperatives, enterprises, farmers, should be paid attention to aiming to create production chains with high value and cost- saving. Hi-tech adoption means application of biological technology in agricultural production.